Immunizations are highly recommended for children as they grow up, as they're able to prevent a number of very serious and even deadly diseases and illnesses. There are also some immunizations that adults may need on a regular basis or in certain specific circumstances. 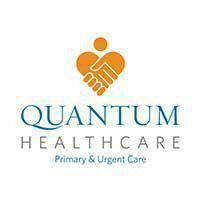 Dr. Yasser Salem at Quantum Healthcare in Crivitz, Wisconsin are happy to work out an immunization schedule for you and your whole family. What Type of Immunizations are Recommended Today? What is the Schedule for Immunizations? Immunizations can dramatically reduce the spread of illnesses like measles. Measles and other diseases like diphtheria were once extremely common. They could be deadly for many children before immunizations were available. By having immunizations, you're protecting yourself from many dangerous and potentially deadly diseases. How Do Immunizations Prevent Disease? Immunizations help the body prepare itself to battle serious illness. Each immunization has a small and significantly weakened (or deactivated) part of the germ that causes the disease. The body is able to learn how to fight that disease once it's in the body. The body creates natural antibodies that are able to identify the germ causing the disease. This means that if you're ever exposed to the disease in question, your body knows how to battle it effectively. This process if known as immunity. Do Immunizations Weaken the Immune System Overall? Absolutely not. Immunization for a certain disease -- for example, a chicken pox immunization -- has no effect on the immune system as a whole. A chicken pox immunization merely helps the body recognize and avoid chicken pox in the future. Will a Flu Immunization Give you the flu? No, this is a common misconception. When you're immunized against the flu, the chemicals in the vaccine elicit a response from your immune system -- essentially, it prompts your immune system to start working more efficiently. In rare situations, this response is enough to cause a low-grade fever, mild body aches, and other symptoms that may seem to mimic the early signs of the flu. However, this is simply a sign of your immune system starting to work. These symptoms will dissipate quickly.